Hey everyone! Sorry I’ve been taking longer social media breaks; as my work schedule have taken a bit of a mental workout for me and when I go home I just fall asleep and on the weekend I’ve been chilling out a bit. I also got an exam coming up and OMFG – I forgot how to “study.” 🙁 I opened the textbook the other day and was like…do I just read it? Do I take notes? DO I NEED FLASH CARDS? The woes of adult life…. 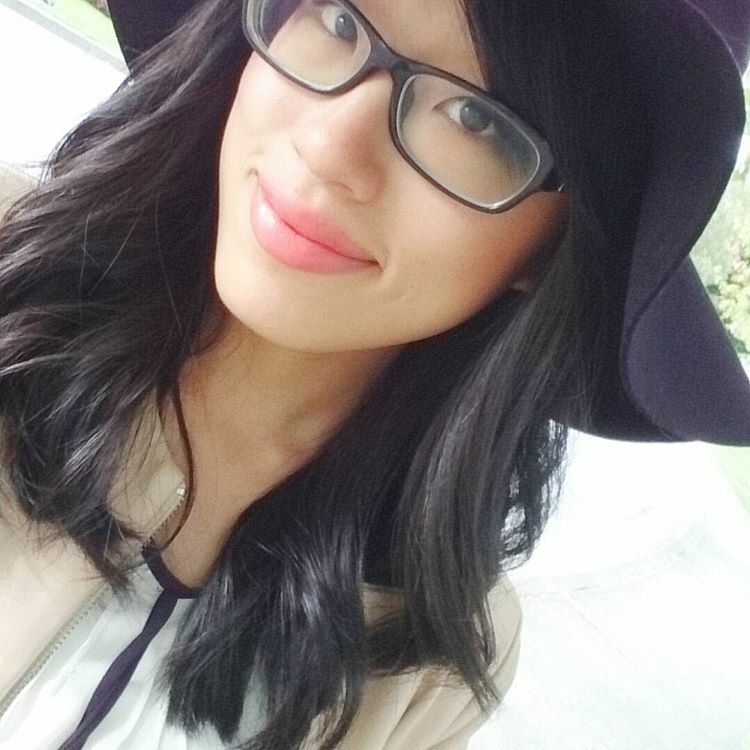 Needless to say my skin’s been on a roll of suckiness but I’ve been using some new skincare products in my routine! 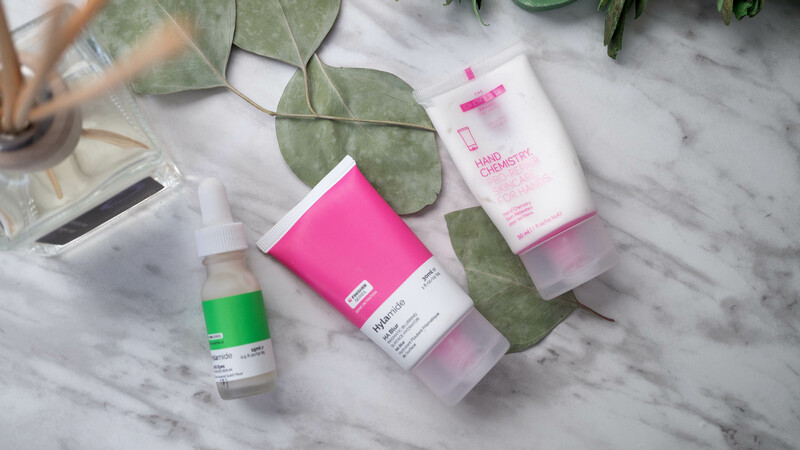 Deciem has been one of the brands that I’ve heard plenty about and I got to try a few of them recently; including the Hand Chemistry Hand Cream, Hylamide HA Blur, and Subq Eyes. You can tell that my tube of The Chemistry Brand Hand Chemistry ($7CAD/30mL or $20CAD/100mL) is nearing its end; and I will MOST definitely repurchase it because the cream is SO good. When I gave some to my mom some she already felt like the cream was luxurious by the clean scent, and then both of us were rubbing lotion going mmmm our hands are so soft. The cream targets 8 signs of aging; it has a 19.5% Active Complex that helps improve firmness, elasticity, density, evenness, brightness, texture, smoothness and hydration. Though I can’t significantly measure that and show some hard evidence, I just feel like my hands feel so much nicer after one application. Remind me to check this out again when I’m 65, blog readers. The Hand Chemistry contains a biotechnological derivative of the mushroom, Tremella Fuciformis Sporocarp which is supposedly 400 times more hydrating than Hyaluronic Acid (now THAT’s a magic mushroom I want to try more of.) It also contains Sacha Inchi (Inca peanut) Oil and Maize Propanediol (derived from corn naturally or synthetically) to create a protective moisture barrier which helps skin to hold on to its hydration. ^ even if I didn’t know about all these scientific nitty gritty details, I’d repurchase the hand cream right away because my hands felt so soft after one application. When Shoppers Drug Mart has their points redemption time I’m adding one (or more…) to my basket. 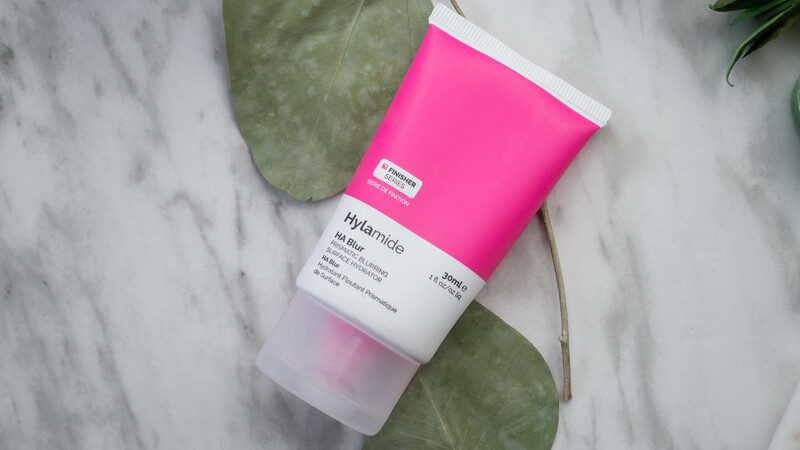 If you cannot use silicones on your face; then you can forget about the the Hylamide HA Blur ($19 CAD). However, if that’s cool with you, this primer doesn’t feel like your standard primer like Benefit’s Porefessional. It uses a hyaluronic acid powder base to blur. You can use it under or even over foundation or on it’s own to smooth out the appearance of skin. 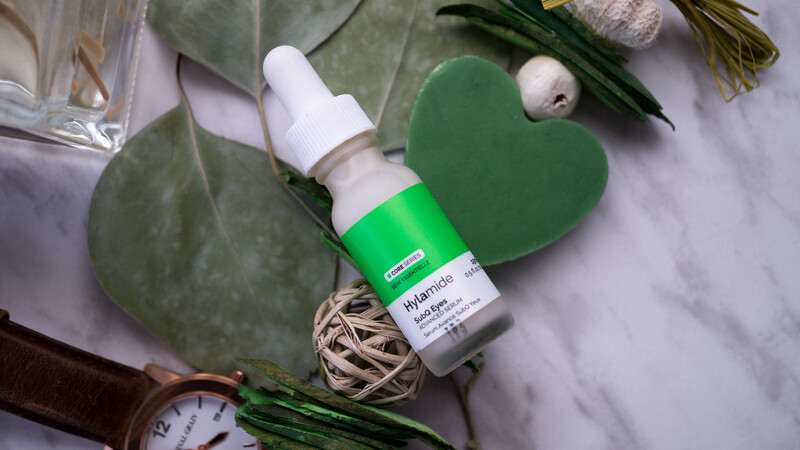 So the Hyladmide HA blur acts as a makeup base but also supplies some moisturizing benefits. When applied under my concealer/foundation – it certainly does a great job of integrating the makeup seamlessly into my skin. It does wonders in making my blackhead covered nose looks HD. The oil on my nose is not as bad once I have the primer on. Woohoo! ? ?So far my current morning routine is to add this on my forehead, then use a concealer to cover up redness, then finish off with powder. If I skip the primer, I actually notice the outline of dry flakes at the end of the day. One small detail I didn’t really like is the scent, it smells like a mix of glue and plastic? But on my skin I can’t smell anything. The Hylamide SubQ Eyes ($35 CAD) is another product that I’ve read really great reviews before I had it sent for trying. This is more for antiaging purposes (which I guess my eyes doesn’t really need for it yet,) but I do use it for prevention as I a) rub my eyes a LOT and b) my eye bags are getting so heavy and I’m trying to delay it from sagging as much as I can!!!! It uses a dropper application and the formula is a gel like texture. It takes around 30 seconds to a minute for it to sink in the skin. The main purpose of the SubQ Eyes is to target signs of aging, but it helps with dark circles and puffiness (my main areas that are begging for help.) It also aids in lifting the upper and lower lid. I haven’t noticed any definitive results after using it for a month, except that it does a really good job of hydrating the eye bags and the skin underneath the eye bags (an area that I often forget to moisturize so it’s ALWAYS dry.) One droplet, size of a pea, is good enough to cover the surface area under both of my eyes. Not going to lie…seeing how much improvement my undereye area has gone through is hard AF, but the cream makes my concealer go on nicely and I have no allergic reaction = something I am presently happy about. All in all – although I don’t have extreme noticeable results for the SubQ Eyes, but with the brand’s history in creating solid skincare products, I have some faith in the eye cream and looking forward to see how my eyes age as I get older lol! The HA Blur primer may not be a must have for everyone if you already have a primer you love or you want a silicon-free primer, but I use it over all my other primers right now! 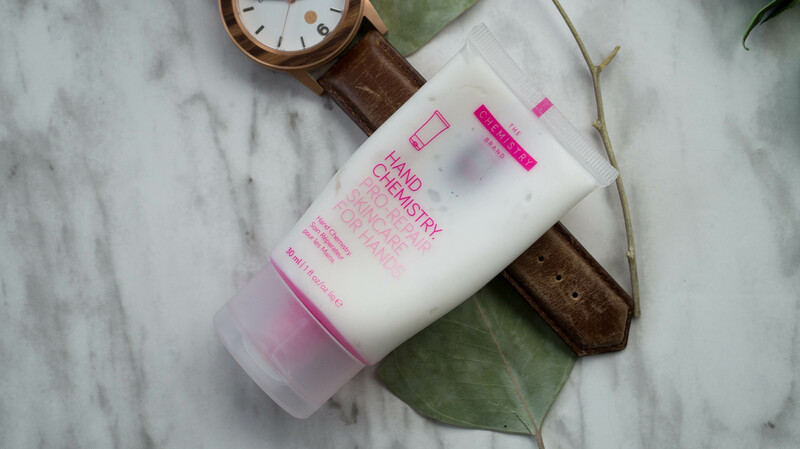 Hands down, the Hand Chemistry Hand Cream is a definite repurchase for me.